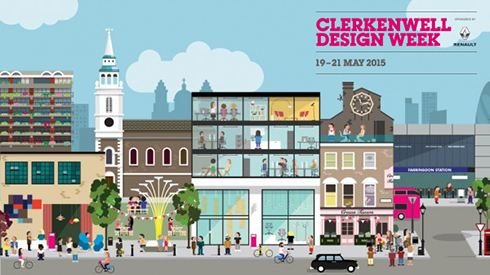 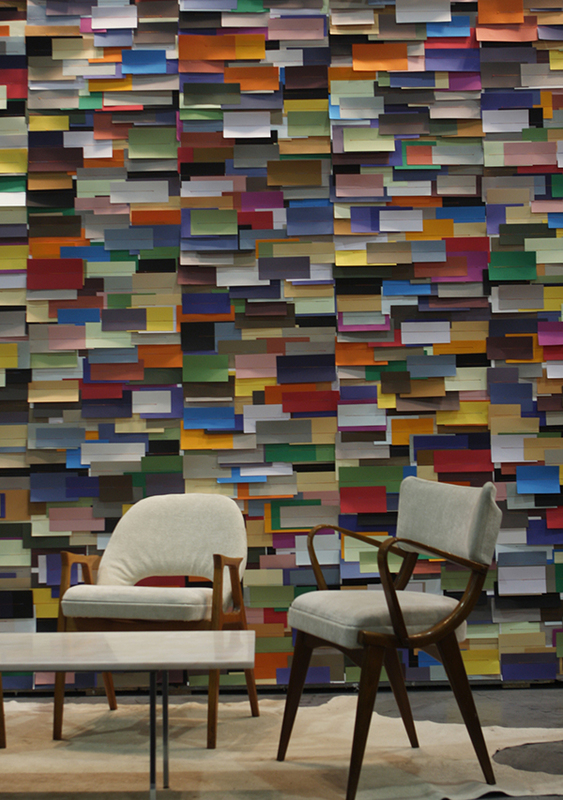 With 80 venues over 3 days from 19th May, CDW is a must-see for latest cutting-edge designs. Here is a round up of the trends. 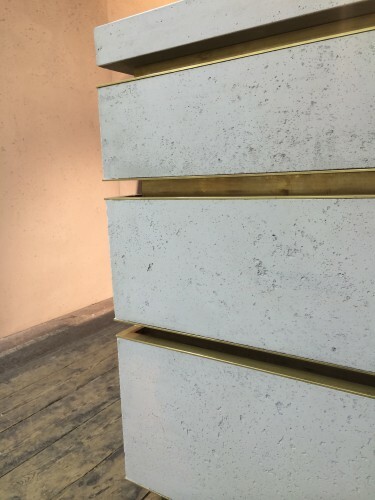 BRASS DETAIL… we love the brass detailing we saw on everything from lighting, tables and chairs to concrete islands. 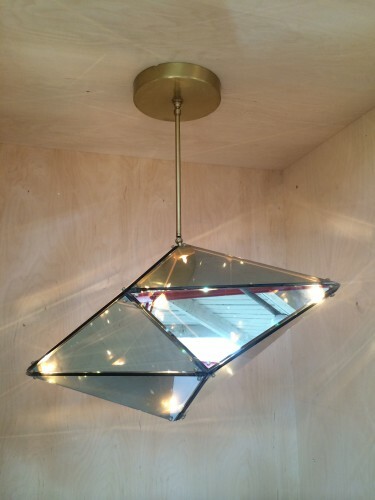 Maxhedron light ‘a study in material transformation through light and reflection’ from SCP. Dining Table Two from Another Country. 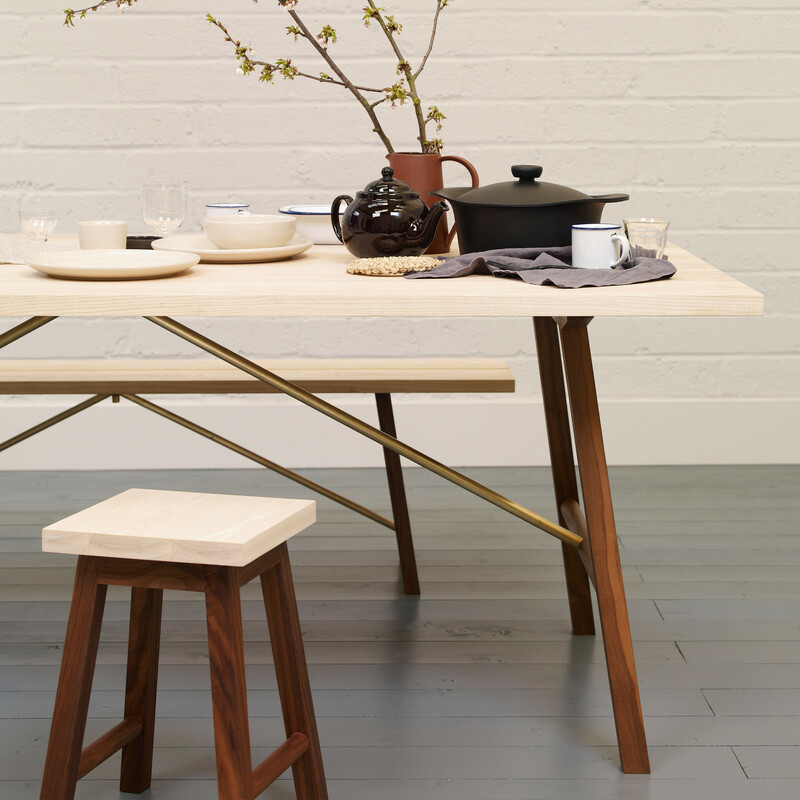 The table’s carefully finished brass support is both function and decoration. Utility armchair from Stellar Works. 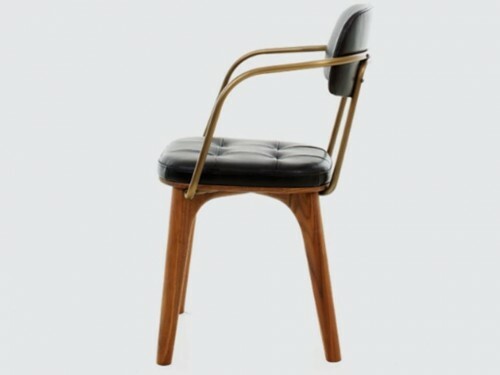 The brass detailing adds sophistication to this masculine chair. 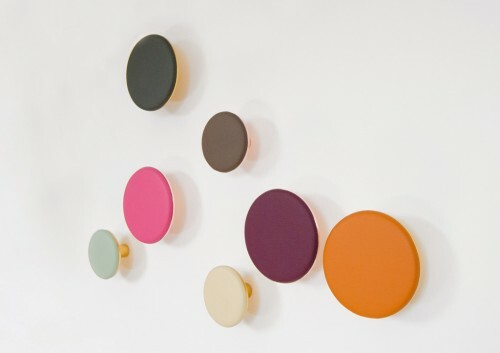 Spot Hooks from Noble & Wood using coloured leather and polished brass. A concrete and brushed brass kitchen island seen at Holloways of Ludlow Kitchens in conjunction with Concrete Lcda. 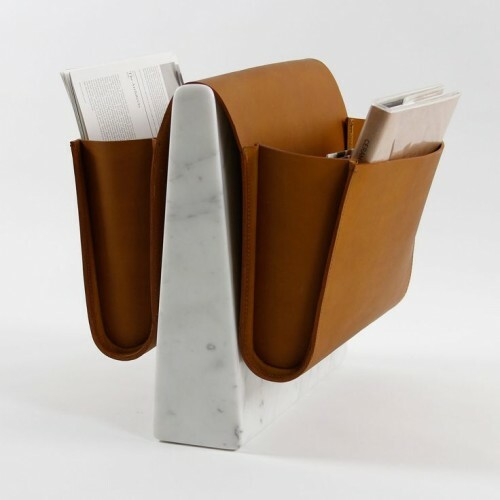 Saddle magazine rack from Noble & Wood – hand crafted Italian leather pouches straddling a marble base. 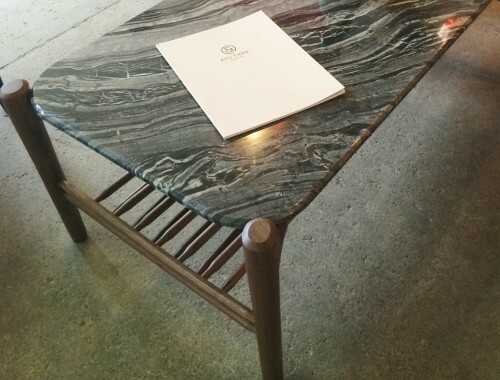 Jakob coffee table from And Then Design is shown with a walnut frame with a black ‘timber grain’ marble with a large double chamfer edge. 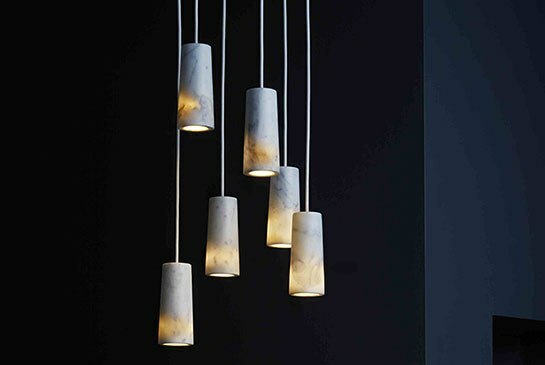 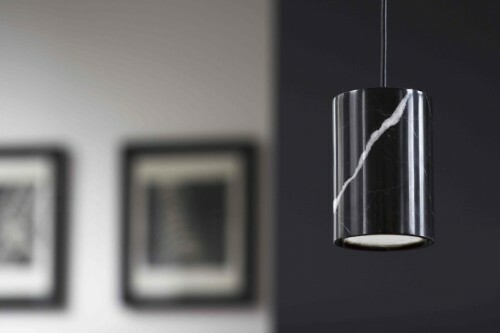 Terence Woodgate’s Solid lighting range featuring LED pendants and surface mounted downlights in natural materials such as Nero Marquina marble (as well as Carrara marble, oak and walnut). 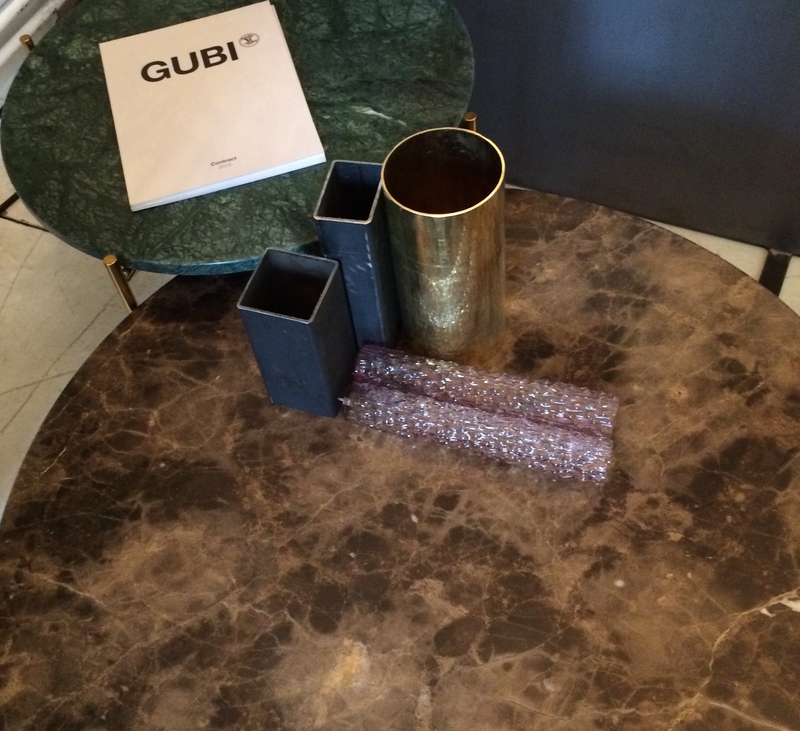 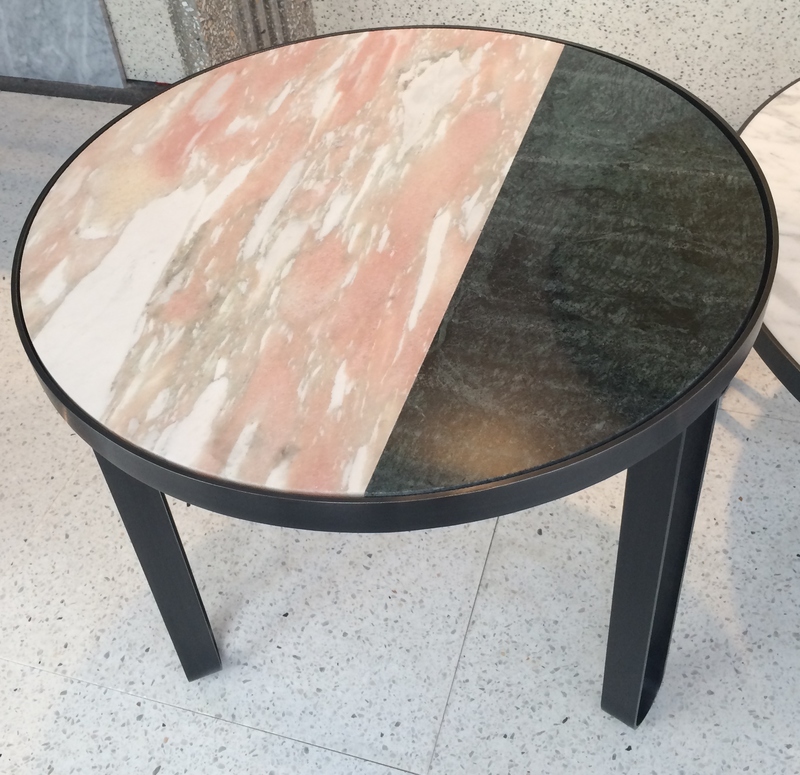 Gamfratesi T’s table from Gubi in Marrone Emperador (Brown) and Verde Guatemala (Green) marble as well as Nero Marquina (Black) and Bianco Carrara marble. 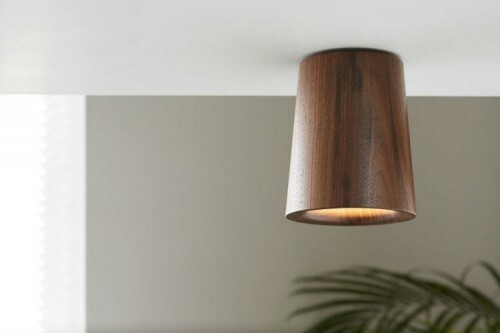 CONTEMPORARY, CRAFTED WOOD… simplicity and elegance in both function and in material combinations. 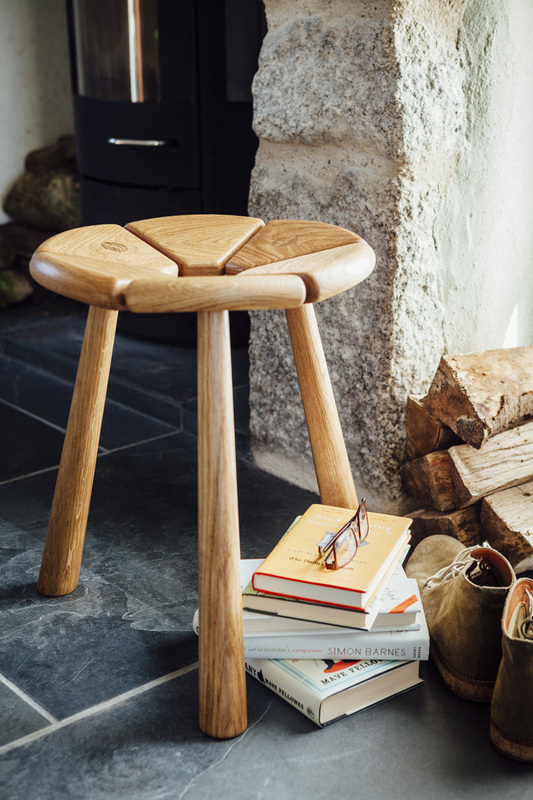 Bareppa coffee table from Henry Swanzy . 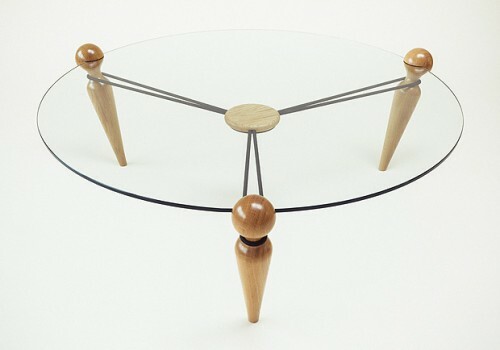 The five components (three turned legs, the glass top and the bungee ‘hub’) combine to create a piece of absolute structural integrity which can be assembled and disassembled in a matter of just a few minutes. 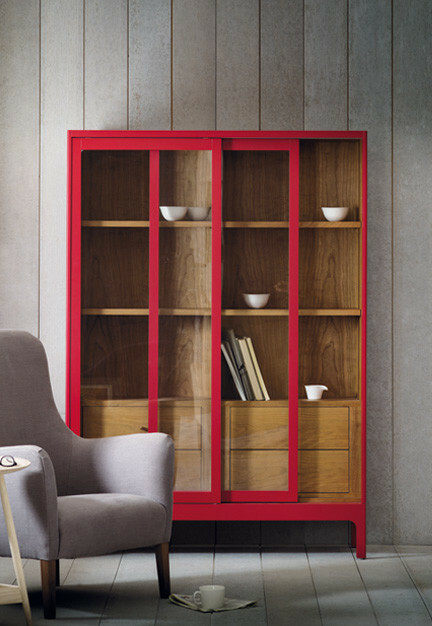 Joyce oak cabinet from Pinch Design finished in a cerise lacquered exterior to add a burst of colour. 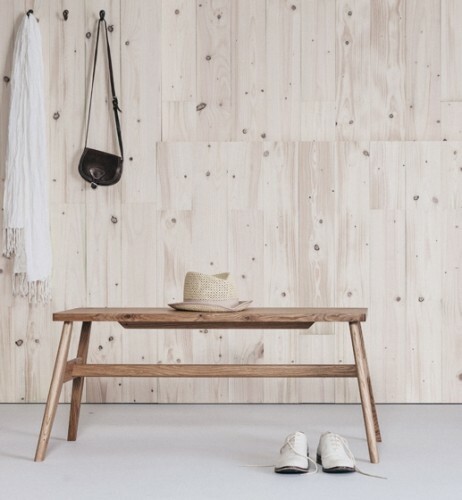 Hand crafted solid wood hallway bench available in Ash, American Black Walnut or Oak from Splinter Designs. 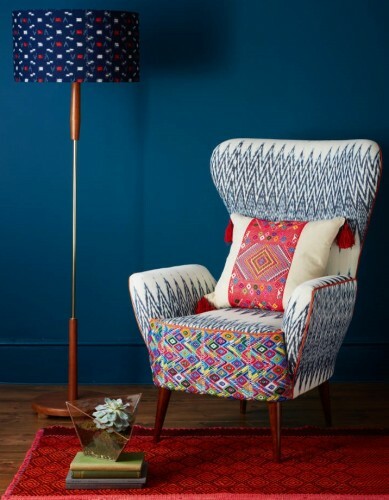 PATTERN AND COLOUR…express yourself with pops of graphic print and colour. 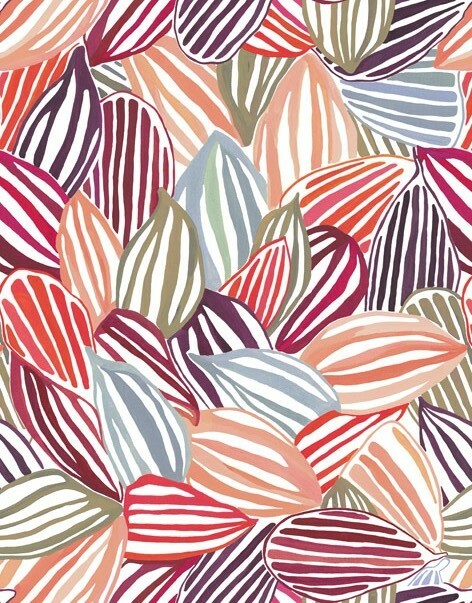 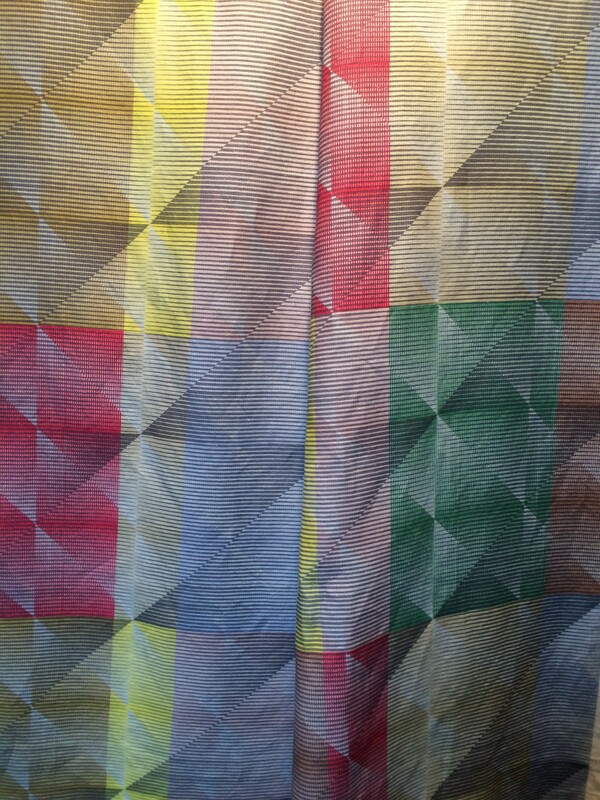 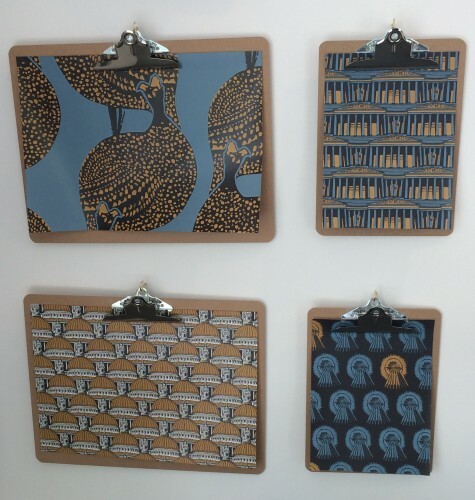 N and N Wares combine colour and digital patterns to create dynamic prints like this. 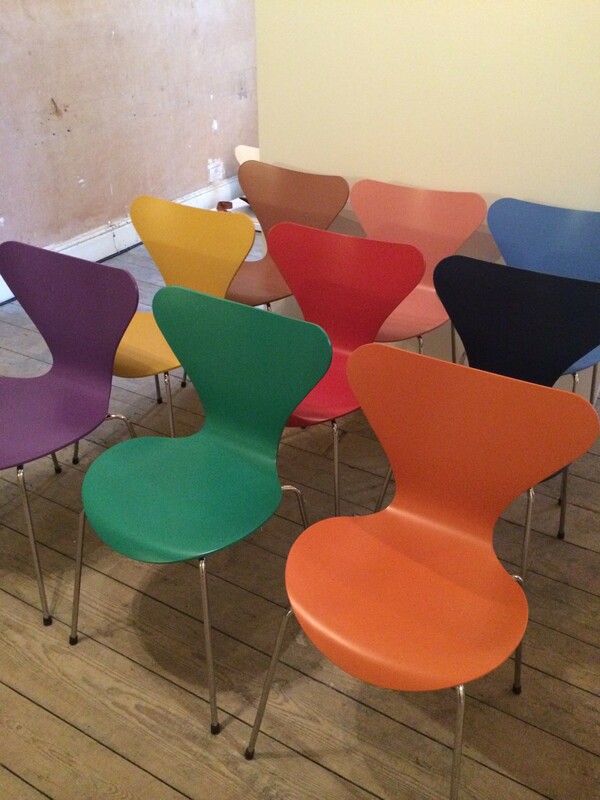 Fritz Hansen has introduced new colours for it’s Series 7 chair in collaboration with Tal R to celebrate the chair’s 60th anniversary. 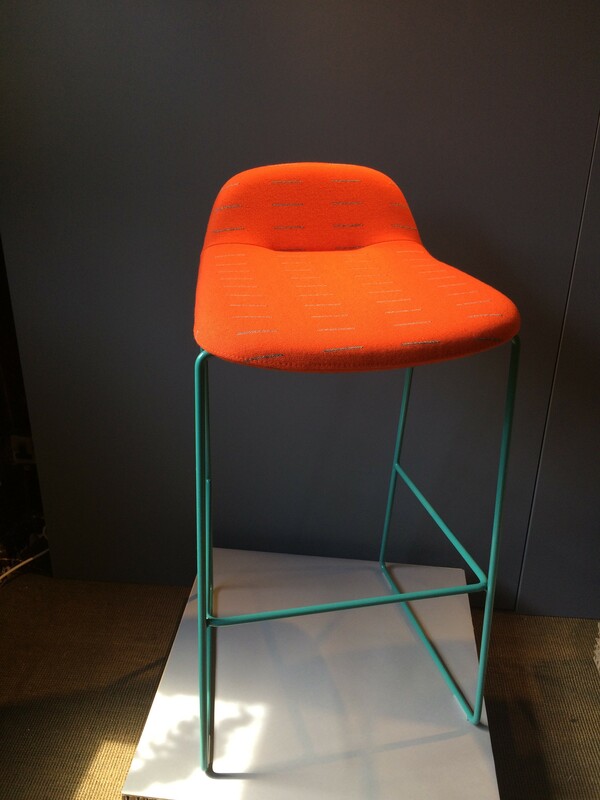 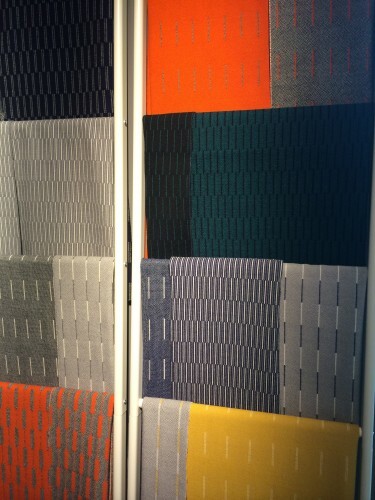 Aerial – the woven wool upholstery collection by Eleanor Pritchard. The palette includes deep inky tones, cross hatched greys, hot orange, straw yellow and black and white marls. 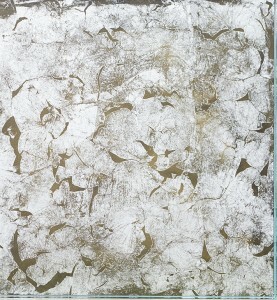 Drawing inspiration from sound waves and radio transmission. Catarina Ikat Wing Chair from A Rum Fellow is covered in a combination of Catarina Ikat and Altiplano tapestries with Tangerine Microsuede highlight piping. 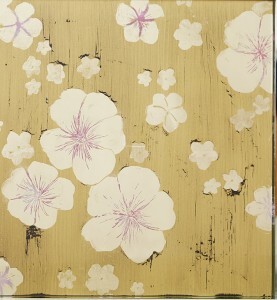 Fabulous bold wallpaper (and fabric) designs reflecting a refined yet spirited sense of glamour from Mitas & Co.
Bespoke decorated glass designs using the long-standing traditions of verre églomisé, Marion Labbez uses gold leaf, pigments and other precious materials on glass to give form to her bespoke designs, free-hand motifs and fresh patterns. 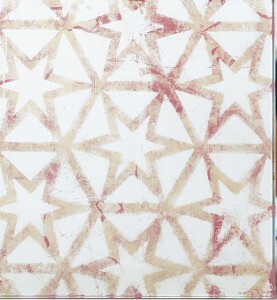 The patterned panels can be used on wall panels, furniture, doors, splashbacks, and lighting. 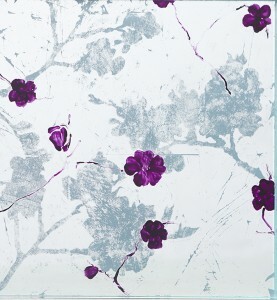 Another Colour is a wallpaper from Tracy Kendall. Different coloured paper and thread is used to stitch onto wallpaper blending craftsmanship and design. 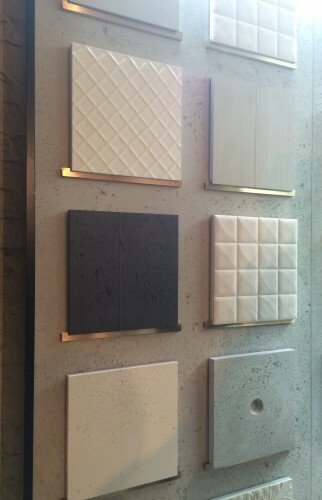 Who says doors have to be painted white? 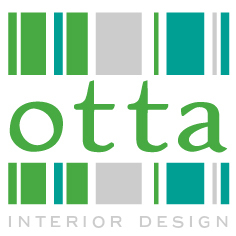 Copyright © 2018 Otta Design Ltd. All images are property of Otta Design unless otherwise noted. 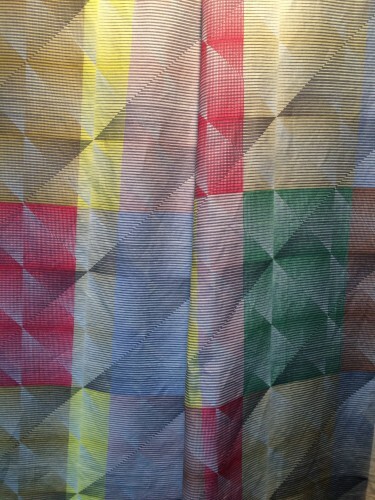 Built by Inside Left.